In 2006, Andrew and Julie Colquhoun, along with their son Tyler, left corporate life in Australia to devote themselves fully to serving children, single mothers and families trapped in poverty or injustice. Driven by the belief that every child and every person has something incredible to offer their world, they wanted to help people achieve their purpose in life, taking them from a position of extreme disadvantage to having real choices. Their story started with a trip to Northern China where they came face to face with street children struggling to survive harsh winters by wrapping themselves around underground heating pipes. Following their involvement in helping this local community establish foster family solutions for many of these children, they started to become involved with local schools and teachers who wanted to help the poor children in their communities. 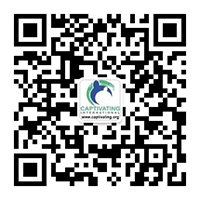 In 2008, Captivating International was founded as a Hong Kong Charity with partnership links to Australia and the US. To date, the work of Captivating has supported projects in the Chinese Provinces of Heilongjiang, Sichuan, Gansu, Qinghai, Guangxi, Guizhou and Guangdong. In addition to China, Captivating’s work has expanded to Kenya (caring for AIDS orphans and poverty alleviation) and Nepal (preventing girls from being trafficked into China and India). The Colquhoun’s currently reside in Australia focused on growing Captivating’s Australian and global support base. Andrew, still serving as Captivating CEO, and Julie as Director of Administration and Support, work closely with the Captivating Board, employees, volunteers and charity partners across all regions. “Our greatest moments are whenever we say, ‘this child’s problem stops with us” – Andrew Colquhoun, CEO, Captivating. Andrew states, “The Captivating story is one that has unfolded organically over the years – not necessarily through careful strategic planning so much as working hard to remain responsive and flexible to address an issue when it comes to our door. That ‘issue’ always has the face of a child on it and it’s our job to respond. It’s such an honor leading a group of such wonderful staff, volunteers, sponsors and project partners. Everyday has challenges, but behind it sits a girl saying “please, help me”. Our greatest moments are whenever we say, “this child’s problem stops with us”.